Here in Sudbury, the snow just keeps coming. It's really pretty though. I love the look of fresh snow on tree branches. It's quite magical! But, Winter is kind of tough for me because my feet get cold worse than other people and it doesn't seem to matter what kind of boots I wear... my feet are going to get freezing cold no matter what to the point where they feel like they have actually frozen. There's not much that I can do about it unless I want to take medication. I just have to try to layer up enough. That is, if I actually decide to go outside in the Winter weather, which is not as frequent as during all of the other seasons. Also, the almost constant cloudiness of the sky really affects my mood. Having said all of that, I always look forward to Spring. Always. 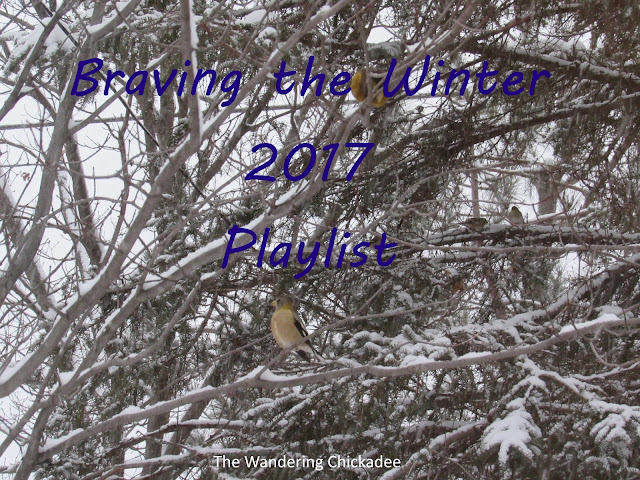 So, I decided to name this year's Winter playlist "Braving the Winter" because I think we all need to be brave during this tougher season.